C2000™ microcontrollers (MCUs) have been used to control motors in a huge variety of applications for over 25 years. 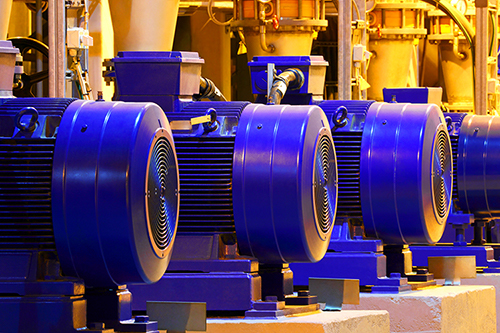 These motors are primarily three-phase synchronous or asynchronous, and typically controlled using a technique called field-oriented control (FOC) to minimize power usage by providing efficient torque production. They are used in products ranging from sub-100-W medical tools up to hundreds of kilowatts industrial machinery. Some applications require only torque control, others a stable velocity, and still others very precise position control. Such disparate requirements require varied solutions, which TI has provided over the years through its digital motor control library, controlSUITE™ library and most recently MotorWare™ library. Starting today, we are unifying our latest motor-control developments with device-level software drivers into a single product: the C2000Ware MotorControl software development kit (SDK). C2000Ware: device-specific drivers, bit fields, libraries (math, digital signal processing, control, signal generation), peripheral examples, utilities, hardware files and documentation – everything required for customizing the rest of your application around TI motor control solutions. Motor control library: common control and motor control specific functions that you can use as building blocks in a fully customized motor-control application. 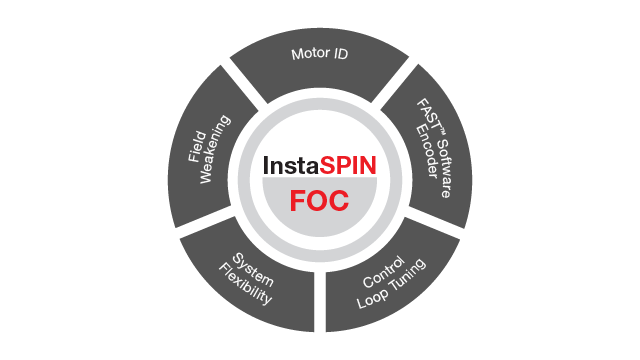 InstaSPIN-FOC™ solutions: sensorless FOC solutions that use TI’s FAST™ software encoder for premium performance. Motor identification and automatic current-loop tuning enable rapid development, even for those with limited motor control experience. DesignDRIVE solutions: sensored FOC solutions that use TI’s DesignDRIVE components to enable experimentation with multiple current-sense topologies, analog and digital position sensor interfaces, control techniques, and flexible real-time connectivity. Fast current loop (FCL) is a unique, optimized software library that takes advantage of all hardware features, accelerators and cycle-scavenging techniques. The ability to implement the entire FOC torque control loop in less than 1 µs enables higher-frequency torque control and thus higher-frequency position control, resulting in servo drives with premium performance. The InstaSPIN-FOC solution (fig 1) was released in 2013 and is enabled by an on-chip read-only memory (ROM) library on the F2806x, F2805x and F2802x series through the MotorWare software package. The library has been rewritten into floating point – removing the fixed-point scaling burden and taking advantage of on-chip accelerators – and updated in on-chip ROM for the F28004x series. Library function calls and step-by-step lab projects will look familiar to InstaSPIN-FOC users. TI has also released a new BoosterPack™ plug in module to work specifically for InstaSPIN-FOC solution with our C2000 Piccolo™ MCU F280049C LaunchPad™ development kit. 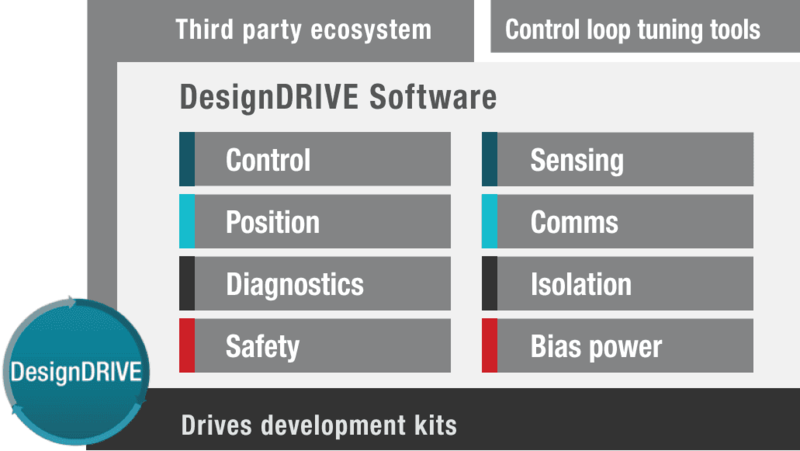 DesignDRIVE (fig 2) was released in - and has been routinely updated through - controlSUITE software suite. With its inclusion in the MotorControl SDK, we are now able to add support for C2000Ware. This gives a more complete and user-friendly software experience and enables easier porting of DesignDRIVE onto other C2000 MCU series. This first release of the MotorControl SDK includes the support shown in Table 1. InstaSPIN-FOC labs running entirely on the F28004x control law accelerator (CLA) co-processor. InstaSPIN-FOC support for asynchronous induction motors. DesignDRIVE examples for the F28004x series. Enhanced DesignDRIVE FCL examples, including absolute encoder feedback techniques. Get started by downloading the C2000Ware MotorControl SDK and reading through the documentation. Check out the C2000 DesignDRIVE development kit for industrial motor control. Ask a question in the TI E2E™ Community C2000 microcontrollers forum. Read more about C2000 real-time control MCUs for motor control. Download the “C2000 MCU DesignDRIVE Solutions for Industrial Motor Drives” e-book.